I am into stamping ... again! 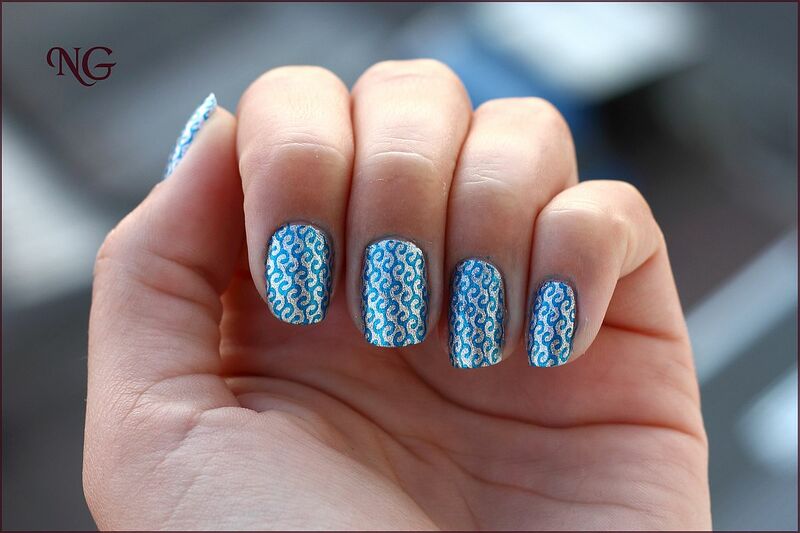 For today's manicure I have used a blue stamping polish that I got from Born Pretty Store for review. I have been asked: "What is so special about stamping polishes? ", "Aren't they ordinary polishes in a little bottle?". Well ... yes and no. 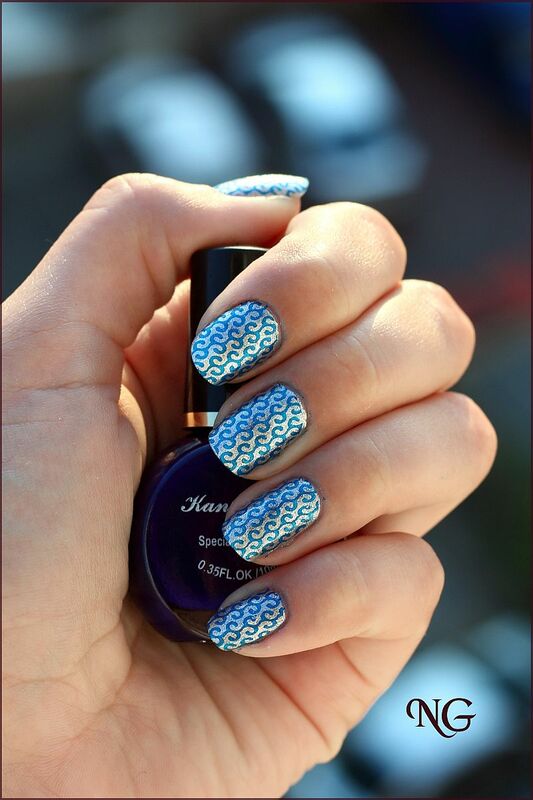 I have tried stamping with several polishes so far and from my experience stamping only works when the polish used for creating the design is pigmented enough. If you have to apply 2 or more coats of a polish to get the color you see in the bottle, it will certainly not work as a stamping polish. Your stamping polish has to be very pigmented and has to have a thicker formula then usual polishes. 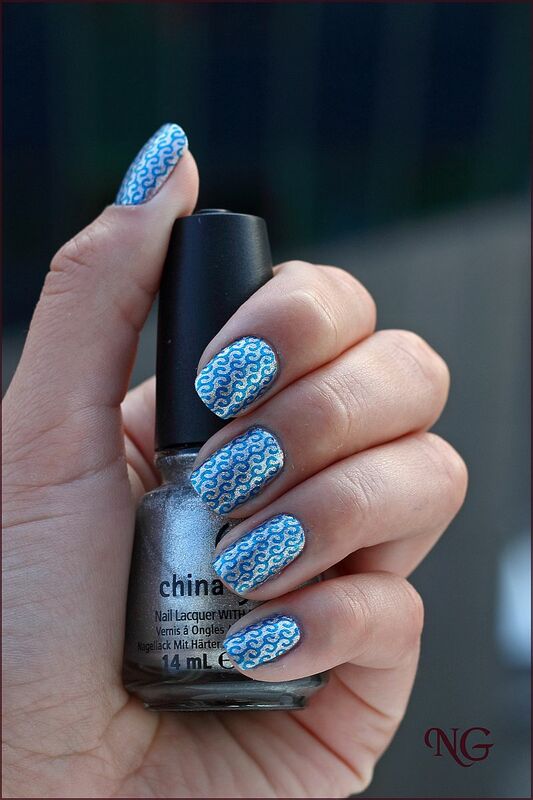 Now, this is exactly what a stamping polish is: thick and pigmented. 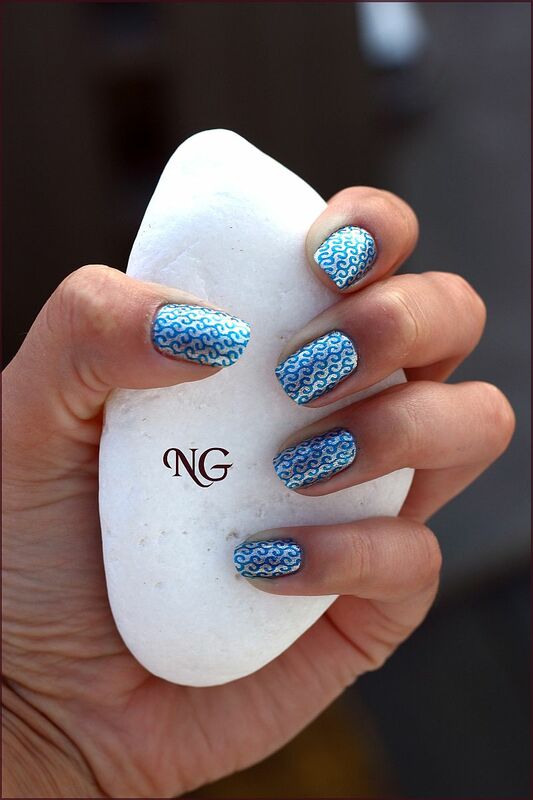 Using a special stamping polish doesn't guarantee a perfect stamping, but it sure is a major help. 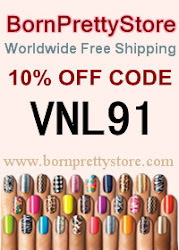 Stamping polish from Born Pretty Store. Item Nr. 5502, shade 1. 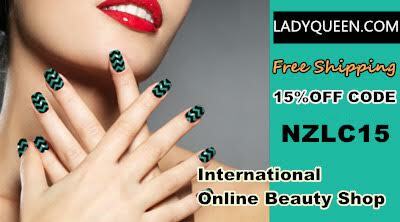 Check out this item and the other shades here. Foarte frumos modelul ales. Imi place combinatia intre oja argintie si cea albastra. Cu oje normale nu-mi iese nici mie. Depinde foarte mult de oja. Ma bucur ca ti-am fost de ajutor. Daca iti cumperi accesori sa ai grija ce stampila iti alegi. Cele ieftine deobicei nu prea functoneaza.